Sleeping trouble is one common symptom of people having health issues. Sleep can be a single important thing when it comes to overall health which people mostly take for granted. They favor some other things over bedtime and wonder why they are getting sick. Claus Pummer, President of Natural by Design, Inc., introduces the best mattress with the SAMINA Healthy Mattress System which can do wonders for blood pressure, inflammations, stress, and other heart functions. Find out about this phenomenon and make a difference for your sleep and, most of all, for your health. I’ve got a special guest. He and his wife, Denise, have become friends of Dr. Heather and me. They’re fantastic human beings. When I met Claus, this was at Paleo f(x) and they had a beautiful exhibit there. Claus kept telling me, “Come over and lay on the bed.” Finally, I found the time to get to lay on the bed and we immediately purchased the bed and we represent SAMINA out of our office as well. We got a lot of clients that we’ve turned on to the SAMINA mattress. Claus, welcome to my show. Thank you. I’m honored to touch base with you again and be on your show. When it comes to typical modern medicine, we never think about anything except for pharmaceuticals and we never think about anything except for doing surgeries. We’d never look at why people are sick. I know you will agree with this and you’ll help me address this. Why do doctors not understand that sleep may be the single most important thing when it comes to overall health? Why don’t the doctors get that but you do? Denise and I are wondering as well, including the owner of SAMINA, who is a professor and doctor himself. He is a psychologist. Dr. Amann-Jennson came up with SAMINA many years ago. We’re celebrating in 2019 the 30th year of SAMINA. Five years prior to the starting point of SAMINA, he is a psychologist and he already had a various stunning commitment of his finding. I talk to my patients doing consultations about their health problems or psychological problems or family problems. They had a common symptom. They had trouble sleeping. Best Mattress: The mattress industry really does not care about you as the consumer. They’re more concerned about selling quantities. He was one of the few doctors that understood the connection between sleep and oral health, including your physical health and psychological health. Here in the United States and Canada, not many doctors are on board and missing this very important factor. When you spend maybe 25 years of sleep, it has a direct impact on your well-being and your health. Maybe the sleeping product below us has something to do with how we feel the next morning waking up. One consumption we find out is that when you become an MD, you’ll learn that the Western way to medicine doesn’t talk a lot about sleep from the beginning. I understood this is an average of four to eight hours and maybe you will agree with me that the nutrition part is missed out as well. When it comes to sleep, medical doctors prided themselves in the fact of not sleeping, where we would get three to four hours of sleep per night. We’d be talking to our colleagues the next day and we’d be bragging to each other, “Look at me. I only slept for four hours and I’ve had six pots of coffee. I slept four hours and I’m ready to go.” It’s a prescription for total illness and the medical doctors just don’t get it. That’s the purpose of why I’ve got you on my podcast. I want everyone to understand that there is the importance of sleep and the best way to get that is sleep. Claus, how did you get interested in the whole topic of sleep and then eventually becoming a distributor of the finest mattress and sleep system on the planet? I was naturally a master cabinetmaker maker. I was surrounding myself building furniture from my very young years. I learned to create and build home furnishings, including bedroom furniture. I created beautiful pieces of furniture including the bed frames where I needed mattresses as well. Most likely I purchased a typical Japanese mattress that was very popular in Germany at the time. This mattress was already metal free and organic. I never liked the idea to have metal springs in my bed. I started off with a basic wood and it did well for me for a couple of years. After working in woodwork and lifting a lot of heavy materials including myself, I was a good swimmer and I was training a lot in the pool. I was swimming with some very successful German swimmers. I prequalified for the German team, but I didn’t make it to the Olympics. At my swimming career, I needed some additional spinal support. My previous mattress at this time did not provide me and this leads me out to explore other choices in the German-speaking market and this is how I found SAMINA. By buying this product, I understood how much better I feel and how much better my back was feeling. I said, “This is a fantastic mattress. It’s all organic and my furniture is all organic, why not show this to my customers in my woodwork shop outside of Frankfurt?” In 1998, I decided to move to Canada and this was the starting point for me to concentrate on SAMINA. I teamed up with a Swiss capital out of Toronto who started SAMINA a little bit earlier than me. We met up over there and we started our partnership. In 2000, I took over the whole operation and since then, I became involved in sleep. I get so much more out of it too to help people and talk about sleep and make them feel better and sleep better than building a piece of furniture. I found my true mission in life and what I want to do the rest of my life. This is how I’m now with SAMINA. I’ve met you on so many occasions and you and Denise are just salt of the Earth people. I know that it’s your passion. We all need to make money in order to be able to live on planet Earth, but you’re so passionate about the mission and about the importance of sleep and getting your audience to understand the importance of sleep. Not only from a time standpoint, but our ancestors also went to sleep with the sundown. They awoke with the sunrise. They were in a chemical-free environment. I know you’re talking about all of that as well. What is the problem with the conventional mattress? Why can’t someone just walk into a mattress firm or Sleep America and get one of the mattresses off the showroom floor? What’s the matter with that? There are a couple of issues. When you are walking at this conventional mattress stores, you get confused. From the minute you enter the door, while you have about 58 different mattresses in the huge space. It’s already confusing with so many choices. Technically, the first mattress that I see is maybe good and the last one matters is a diverse one. I have a problem already with so many choices. When you talk to the salesperson there and you want to understand what are the contents of the existing mattress on those brands, they’re not telling you the entire ingredients. They’re using fancy labeling. They call it organic cotton on top and they call it all these funky names, but when you ask them the final question, “Can you prove the contents of this material? Can you tell me what is inside of the mattress, so I understand as a consumer what it is that I surround myself?” there’s a lack of misinformation. Don’t even start talking about box-spring mattresses. They’re full of metal springs. Many people like you and other health practitioners understand the impact on the metal spring mattresses and cell phone frequencies and how harmful they can be for human bodies. The entire conventional medical industry also does not care about you as the consumer and as a patient. They’re more concerned about selling quantities. When you look at the life span of a conventional mattress, it’s anywhere between two and four years. In the olden days, for sure this was much higher, but now the lifespan of a conventional mattresses goes down. This shows also that they’re very interested to sell mattresses over and over again. Maybe they want you to upgrade accordingly to your budget and have a pain threshold so that you buy a more expensive mattress. The whole mattress shopping is all over the place. We know that metal shopping in this country is one of the second unpleasant activities. It’s very astounding. The other one is purchasing a car. I don’t understand this either. It’s time to buy another car and we briefly talked about the car purchase earlier. I’m looking forward to this day to buy another car. I know what I want and I know what I like. I save to buy this car and I’m looking forward to getting a brand-new car so I don’t understand the consumption that people don’t look forward to buying a mattress. Especially when you know that you spent in this mattress more time than you spend time with your girlfriend, wife or spouse. Sometimes the mattress lasts longer than the marriage. It’s interesting because as you’re talking about the mattress shopping experience and you’re talking about walking into a conventional mattress store. My anxiety level automatically goes up. Before you even said it, I’m thinking, “One worst thing than that could be when you go car shopping.” You’re from Germany, you’re a German. For you, the car experience is a religious experience. It’s a whole sales pitch of walking into whether it’s a car dealership or to the mattress store. There are so many mattress choices and all of them are just lousy choices. I’m a board-certified cardiologist. I got patients that are sleeping on this. Best Mattress: We have so many online mattresses coming up on the market that people don’t go to a retail store anymore. We know so many people that are sleeping on the SAMINA mattress and there are some heavy hitters in the holistic health and wellness space sleeping on the SAMINA. You addressed that you get the metal springs. The metal springs are conductors for all the EMF and all the wireless activity that is around us and that just radiates it right back into where we’re sleeping. You get the conventional mattress that’s got the pesticides and the chemicals all over it and the flame retardants and all the different synthetic things. Tell me the components of a healthy mattress. What are the components in that SAMINA healthy mattress? SAMINA’s components are very simple and straight from nature. The top layer is natural from merino wool from the sheep called merino. We have a huge amount of natural latex. The latex comes from Indonesia and it’s from the rubber tree. The core of the bed is a wooden sled embedded between natural rubber to give you spinal support that is so important to sleep. The last material would be silver embedded in merino wool to make sure we can look after the exposure of this very harmful electromagnetic fields including the radio frequencies. Our top layer would be the Merino wool, our pillows are a combination between Merino wool and natural rubber. The beautiful thing with SAMINA is that many sources are similar materials, which are natural sources. When you receive those natural materials, there’s an alteration doing the product during the manufacturing process going on. When you’re manufacturing in certain countries, there are certain guidelines. SAMINA is made in Austria and the guidelines don’t request to use any additional flame retardants and other byproducts to finish the mattress while all the components are already flame resistance. This is the beautiful part of SAMINA. When you buy a SAMINA bed that was manufactured in Austria, you’re following the European laws and this seems to be stricter than North American laws. It’s always about money. Products in Europe sometimes are more expensive than products in North America. This is a good point of cost where there are transportation costs and import costs and also labor cost and the integrity of the product. I know for sure that SAMINA spends tons amount of money to buy the finest raw materials to deliver a long-term lasting product. SAMINA lasts for twenty years. If you want something to last for twenty years, you have to make sure your raw materials are good enough and the craftsmanship or this handmade in a mattress has to be efficient enough to hold up the use of twenty years. I have a feeling that the United States is very instant gratification, “I want something right now. I want it very inexpensive and when I replace it next year, I don’t care too much. It was only $1,000 anyway.” Anytime you do something like this, that means to me you’re based at a certain amount of nights in the inexpensive mattress with no health benefits and this is almost like filling up a second bank account. It’s missing sleeping hours and missing sleep efficiency. There are two bank accounts. There’s some bank account of the money but we earned. The whole idea is when you turn 65 or whenever we decide to go to retirement, to have enough income to live a comfortable life until the last day of our life. At the same time, you have this bank account of the missing sleeping hours. This is where the tricky part comes. When you pile this up, there’s too many missing sleep hours and sleep efficiency, this can backfire heavily to the point that you want to retire and you want to enjoy your retirement. We definitely see an increase in the customer group above 65 years, what kind of stage those people are in general health. I’m sure you see a lot of patients in this age group as well and you have a better picture than even I do about the current health regardless of overweight, heart disease and other chronic diseases. It’s the same when you had twenty years of bad sleep. This is not a good combination. I addressed this now to a lot of younger people who started off now to build their own life, to pay attention to this matter and get more education. You should understand as a consumer, what is the contents of my mattress? I cannot understand why people will take any answer from any online retail of mattresses. This is another problem now. We have so many online mattresses coming up on the market that people don’t go to a retail store anymore. Going back to the car analogy, people do so much research on their car. They test drive all these different cars and then they spend $30,000, $60,000, $160,000 or whatever it is on that car. How much time do you spend in your car versus how much time are you supposed to be sleeping in your bed? What they will do is they will drive $100,000 car and they will be sleeping on a $1,000 mattress. It’s absolute lunacy but the medical doctors are not talking about this. I talk about it with my patients. I tell my patients how important it is. My patients see the results when they sleep on the SAMINA sleep system. Do I think that sleeping on the quality mattress system like this, does this do wonders for your blood pressure, for your inflammation, from your oxidative stress to heart function, anxiety, stress, and depression? It all plays in together because sleep is so critically important. Claus, what is the best thing to do for people without sounding too salesy here from my standpoint and get people over to SAMINA? It seems to me that the best thing is to fly out to the showroom in Pasadena, California. Then you’re going to make this purchase. You’re going to be spending the next twenty-plus years on this mattress system. You’re going to spend over $10,000, $15,000 or in some cases, $20,000 on the SAMINA sleep system. It seems to me that they need to fly out to Pasadena. Best Mattress: A lot of people think grounding does not work and saying bad things about it; unfortunately, they’re incorrect. A handful of people are doing this and we have some incentive to do this. We have this limitation with one showroom. People make the trip and purchase bed after they visit. During the visit, they get the credit for some of the travel expenses. This is still far better for us than open up retail stores across the United States and having a brick and mortar store with all the overhead. I encourage everybody to do so. You will be surprised how many people will buy this bed without even trying the bed. The reason is that we do have very sophisticated literature on the homepage. We have a lot of very good videos on the homepage. We do have a lot of people in the integrated and functional medicine who are a SAMINA sleeper and talk about SAMINA for so many years. We are able to build up a very high amount of credibility for my brand and for the SAMINA system. When you look deeper and you start digging in, different people will very easily recognize how smart the system is and how much benefits you might get from it. Most of our sales are from very sick people who are coming with major issues and 50% of them are normal consumers and we call them the biohackers. It’s more like the customer group from Dave Asprey and all the people who want to be staying healthy and never got sick from the beginning. They want to optimize everything they can to have a better longer life. We see those two customers grew up and especially talking from our sick patients and they sometimes cannot travel far anymore. What we’re talking about was that, “Do people need to come into the showroom?” It sounds like that in some situations, it may be beneficial. He’s been all over the world and he taught mattresses and healthy sleep for over twenty years. We’re seeing the results. We’re seeing the results with our patients. At the same point, it is a big purchase and for those of you that are of on the fence and don’t know where to go, maybe the best answer is to fly out and learn from the best, Claus and Denise. That’s always a good idea. When you come to the showroom, we designate the day to show you SAMINA. We talked a lot about the bed and why sleep is important. I do a lot of pre-education to give more awareness. People who are in the states don’t want to go to bed at all but they had so many bed experiences for so many years. The more anxiety you have, the worst sleep you will have when you track yourself to go to bed. I want to bring awareness. You should go to a certain time to bed. You almost need an alarm clock to set yourself to go to bed. You don’t need an alarm clock to wake up. That’s also one of my common vision. If you understand why sleep is important by feeling and touching SAMINA and you’re more comfortable to spend a certain amount of money. You spend anywhere between $10,000 for a queen size bed for a basic sleep system. A king size bed is $13,000 but when you do accessories like pillows, comforter and maybe one of our inclined bed frames, then you spent almost $20,000. Is this at the end of the world to a car purchase? I don’t think it’s the end of the world in our car purchase. For a $20,000, it’s easily done and you’ll drive your car for four to five years. SAMINA will for twenty years so you can make the math. How much does that cost you per day? 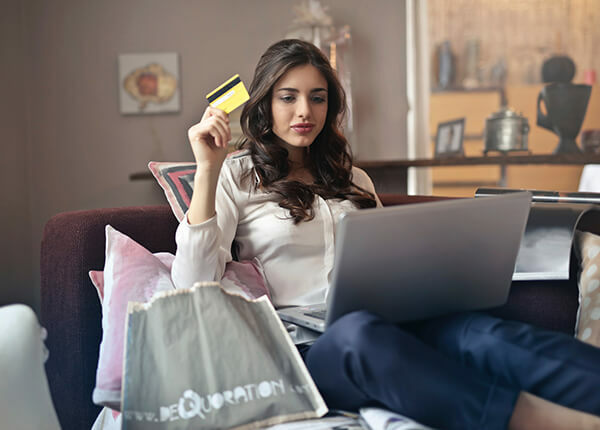 Our daily spending habits are all over the map when you go to get your Starbucks coffee or any other coffee daily routine, what is so common for us, you spend anywhere between $3 and $5. This is more money than what SAMINA bed would cost you. The only difference is you have to come up with the money upfront but with a cup of coffee, you always have $4 cash in your pocket to do so. After ten or twenty years, you spent $48,000 on a coffee and you still sleep on a $1,000 mattress and you don’t get a lot of benefits. This is where the whole misconception is. The mattress industry was dragging themselves to be inexpensive with free interest financing solutions for 48 months. This is how we used to it, but this is not the norm either. We have those other extremes. There are a handful of luxury bedding brands out in the world like Duxiana, Hästens or Vispring. Those are considered luxury beds and they’re handmade in Sweden or England. They cost anywhere between $15,000 starting price all the way up to $45,000. Some of the models are over above $100,000 mattress then you still have to ask yourself, “What are the benefits for me?” When you look at the components and the raw materials and how the system is created, I don’t see a lot of benefits either. In SAMINA, it’s so unique. The owner of SAMINA, who is a professor, designed SAMINA for four different layers of the human body. Scientifically speaking, the SAMINA bed makes so much more sense while we cover all the aspect of good night’s sleep. Starting orthopedically with proper spine and support, we’d be addressing the issue with your joints, tissue and muscles. We will talk about our electrical system, what will be the impact with the grounding pad. We’re be talking about the biggest organ, our skin for temperature control and moisture regulating. In this spot, SAMINA stands out already. We need an alarm clock to go to sleep while the alarm clock, as you and I both know, is when the sun goes down. That’s the alarm clock. That’s the reminder to go to sleep. The chickens don’t need the reminder. The deer that are out in the wild don’t need the reminder. Nature has the reminder and that’s when the sun goes down and that’s what we need to do. When you do so, you don’t need an alarm clock. Aside from when I travel, that’s the only time we ever needed an alarm clock, which is unnatural but it’s something that we need to do. You bring up the point about the price of your typical coffee in the morning is $3, $5 or $7 and all the other vices that people have. Because they’re not getting the sleep they should, they need these uppers in order to make their day go. If you do the math, the SAMINA sleep system will costs you $2 a day or under. That’s what we’re talking about. $2 to sleep on the world’s greatest healthiest mattress. I hate to sound like a shill over here, but it’s the reality. It’s so important to do that. You mentioned silver. Where does silver come in with the SAMINA Sleep System and why? The silver is embedded in our grounding pad. That is one of the layers of the SAMINA system. The reason why we’re using silver is because silver is approximately 10,000 times better conductor to EMF, electromagnetic fields and radio frequencies than any other materials in the human body. When you naturally go to your bed right now, whatever brand you have, either a box spring bed or full mattress, the human body is 80% of liquid moisture and highly attractive to those three frequencies. If you are not having the attachment through a grounding pad, you will interfere with yourselves and your immune system. The EMF and the radio frequency will trigger the red blood cells and glue them together and you’re losing oxygenation. Best Mattress: You can’t afford to have a crappy night of sleep, you can’t afford to be sleep deprived, and you can’t afford exposure to any kind of chemicals either. Is there silver in the comforter as well as? Is the comforter impregnated or is that an option? There’s no need for it. It’s only in our grounding pad that is under the wool top. The grounding pad contains about 75% of pure silver of the entire length of the side of your bed and then and half of the bed. With this huge amount of silver under your material, it’s about 10,000 times better conductive than the human body through a little cable that is attached to the outlet. When you purchased this, you will plug it in your outlet, but it’s not attached to any kind of electricity. It’s only connected to the ground pin of your outlet. When you purchase SAMINA Lokosana® Grounding Pad, you will ground test them to make sure your house is properly grounded. 99.9% of homes in this country are grounded. We’re testing this beforehand and you can plug it into your outlet. This gives the EMF and the radio frequency a pathway to go away from you. There is unfortunately a very huge misconception about grounding out on the internet as well. 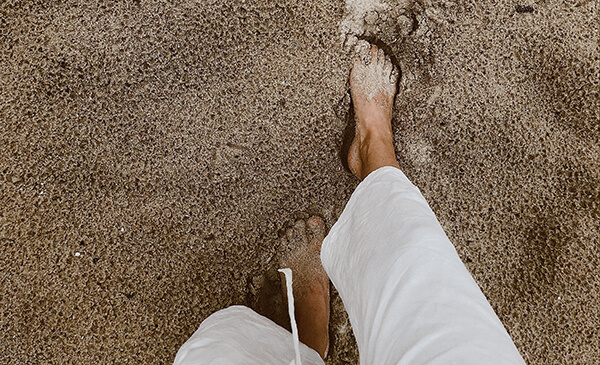 A lot of people think grounding does not work and saying bad things about it. Unfortunately, it’s also incorrect. My dear friends, Dr. Stephen Sinatra and Clint Ober, also have a grounding technique and developed similar timeframe as SAMINA did. They are complementing our product and saw the benefits as well. They found the mattress company involving grounding. Grounding is one very important feature especially now that they are rolling out 5G Wi-Fi signals in our neighborhoods. We get bombarded with 5G and 5G stands for five billion hertz. The human body runs on the Schumann frequency with 6.7 hertz. There are this huge disconnecting numbers between this reading and the law reading of the natural human body and you’ll see it in your daily work as well. This creates a bunch of problems and this leads to human inflammation. Human inflammation can be the start of chronic diseases. Grounding is an important feature. When you make the switch from the metal mattress to a foam mattress, this is already a big improvement. Anytime you get rid of your metal springs with the little antennas, you definitely can lower the impact for yourself. This is my first advice. When you turn off your cell phone and your Wi-Fi router, you go to the panel box and turn off the breaker to the bedroom. All these three things are for free. You only have to be consistent and you have to be willing to do it. You can make a big improvement for your sleep room and for your own sleep efficiency and this is the truth. I do home consultation in the Los Angeles area or when we travel somewhere and we make booking appointments. My findings are always the same. The worst polluters are the consumers living in their homes while they don’t think about too much about it. I cannot understand why you want to keep your cell phone on all night long and disturb you during sleep when you can put it at least on airplane mode to disable the free transmitters and you still have an alarm clock. The answers are always the same, “I need my phone for emergency calls.” I tell the consumers, “There’s still something that exists like a landline for $7 a month.” In my case here in Los Angeles, our landline was for free while I signed up for internet and TV. I have a landline for free and I have an old-fashioned telephone. When someone has to reach me, they can call my home phone number and they don’t have to call my cell phone number. People are lazy. It’s like brushing your teeth. You know that you should brush your teeth and maybe rinse your teeth and use a lot of brush. It’s a daily routine. When we wake up, we do it. When we go to bed, you should do it. It’s the same thing with all these electronics. You can be stricter with yourself and especially with the kids in your household. Turn off those devices. I don’t see the need for those devices, especially under the consideration when you maybe understand how harmful they are. To find out how harmful they are, there are two tests. One test would be dark-field microscopy. It’s a very old test where professional health practitioner withdraws some of your blood and looks under the microscope. You can see how red blood cells should be loading side by side. The cell study would be a very simple question, “Do you dream?” Our findings are showing that people who purchased SAMINA bed with the grounding pad or the grounding pad without the SAMINA bed, all had huge improvements in the way how they dream and the consistency of dreams. There’s no doubt that the more people dream, the healthier you are. This summarizes what you just said the three things that we need to do. Number one, get the cell phone out of your bedroom. Put it on airplane mode. I don’t know who you are as far as like emergencies, what kind of career or is it family or something like that, why you need to be on call 24/7. I know I it did as a cardiologist, but I don’t know why you do. If you do, get a landline. Number two, turn off the Wi-Fi at night. There’s no reason to have the Wi-Fi. Go over to the router and press it. A few years ago, we were interviewing a patient and we asked her where the Wi-Fi router was and why didn’t she turn it off? She said, “I don’t even know what the Wi-Fi router is but I’ll go home and ask my husband.” She goes home and she asks her husband and they find the Wi-Fi router and where was it? It was under the baby’s crib. She sent the picture of where it was and they were just mortified to turn off Wi-Fi in the router. The third thing, if you are extremely sensitive, turn off the fuse to the bedroom and get that going. That’s a little more extreme because you’ve got to go outside and you’ve got to find the circuit breaker and turn it off. That’s a little more extreme but the first two are super simple. You can call an electrician and get a remote switch for the breaker. It’s a $500 investment. You don’t have to look physically to the panel box and you can disable the break. It makes sense in the rental, but when you’re on a rental home and you stay longer than two, three, four years, the investment is worth. When you own your house, it is a no brainer to make this additional investment with the switch off breaker in the panel box to have the convenience for you to lie in bed, press the little remote. Turn off the power breaker to the bedroom and switch it on in the morning or during at night or during an emergency when you need some light somehow. Thank you, Claus. How do people find you? When you call up Claus, you get onto the website and you tell them that Drs. Wolfson sent you, Jack Wolfson sent you. Claus is my buddy and his beautiful bride, the brains of the operation, Denise will take care of you. How do people find you, Claus? I like the personal relationship with people and my potential customers and I want to learn a lot about you. Give us a call at (877) 494-1091. The second option is to shoot us an email at Sleep@Samina.com. Last but not the least, go to our homepage, JustHealthySleep.com and pre-educate yourself a bit. Watch some of the videos, listen to some of the traditional podcasts and go to the homepage to get a basic understanding of how the SAMINA System looks. Then you have a better understanding of why we should spend this money. This purchase is a very important purchase. I strongly recommend getting your spouse involved. It’s a couple purchase. I don’t expect anyone to make this purchase without their loved ones. When there are two people sleeping in the same bed, it should be a decision made by both parties to be on the same page. One of the things that are astounding is when you start dating, we are spending a lot of time and investment to meet our future partner. We go to nice restaurants, we dress up nicely, and we prepare ourselves. You’ll talk about it to learn about the future person and how you want to spend the rest of your life. That’s a similar idea I want to encourage to do with the mattress. When you buy something that can last up to twenty years, I truly want you to understand while I’m doing this and what is in for me and what the health benefits. This is all about health. We don’t talk much about the future of our beds. We talk more about the health benefits. What are the benefits for you? That’s only what matters for me, for the entire SAMINA team, for everybody who is involved. What is in it for you? When you understand what is in for me, then you can understand the value of what you receive giving us a value on a certain amount of money. Heather and I sleep on SAMINA Sleep System and we got a baby in between us. We’ve got the king size system and it comes with two separate pads and then under that are going be the slats. The slats can be foam and one can be a little bit softer. You can dial it in. With the new sleep system, you can also get some elevation of the bed as well. We do have an incurrent bed frame so you can sleep anywhere from zero degrees to three degrees and 5.5 degrees. It’s the inclined gravity sleep. It’s a technique developed thousands of years ago. Our ancestors had some natural instinct and our animal kingdom also does it. It’s not this unique but SAMINA developed this concept where you’re able to do this very simple in a very nice way instead of using two brick stones. It would be an inexpensive solution. You can put six inches of books or brick stone under your existing bed and get some additional benefits of the inclined therapy. This doesn’t work very well when your mattress is full of chemicals like petroleum and fire retardants or full of metal springs. It’s not all the way down. In SAMINA, you do it all the way. You do it one way. You’re not making shortcuts, no compromises. We cannot afford to have a crappy night of sleep. We cannot afford to be sleep-deprived and we cannot afford to get any exposure to any kind of chemicals either. Claus and Denise, are you back sleepers, stomach sleepers, side sleepers? Tell me the inside scoop of the Boomer bedroom. What’s going on there? We’re mainly back sleeping. SAMINA is so supportive of your natural S-shaped curve. The mattress is divided underneath these two layers of wooden slats with natural rubber between with congruence to your spine, matching to your own body weight and to your own body height and your own body shape. When we talk about couples, female and male stays substantial weight difference and height difference and shape difference. This is beautiful. We both start off sleeping on our backs and during the night, especially in the morning hours anywhere between 5:00 and 6:30, you’re doing a few body movements where very often you have your dream in this timeframe. I catch myself to sleep on the left or right sides, the same with Denise and finish the night like this. The human body moves during the nighttime about 70 times. It is an extremely low amount of movements but it’s healthy. A lot of customers move to 300 to 400 times during the night. It seems very exhausting to us and of course, you’ve compromised sleep efficiency with this body movement. This either comes from a non-supportive mattress. It comes from too much exposure with temperature and heat maybe disconfirm in regard to breathing and stuff. We have a big problem. We have to deal with dust mites in bed and anytime you have those creatures in your bed, you have stuffy nose and you’re too hot or too cold. You can’t breathe and put your feet out of the duvet cover and you start turning and pulling the duvet away from your spouse’s. It completely compromised sleep environment. It’s a tremendous wealth of info as always. A third of your life is on your mattress and you’re sleeping on some toxic piece of garbage. This is what you’ve got to do as part of the way to reclaim your health and get your best health going forward. Thank you for having me on your show. I appreciate it. 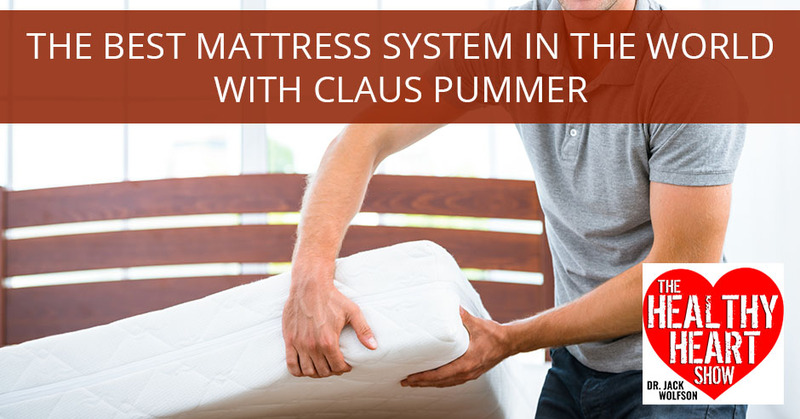 Claus Pummer has worked with SAMINA for over 20 years and not only believes in the SAMINA Sleep System but chooses it for his own health and sleep. 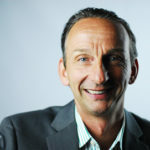 In addition to running the North American Company, he speaks, writes and educates people about the importance of sleep in their health and wellbeing.